Mimsy: Should we hold regular elections for Supreme Court Justices? 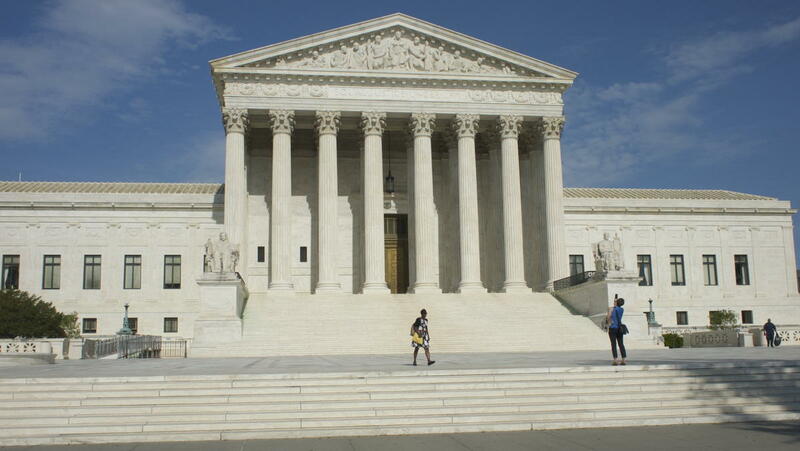 Should we hold regular elections for Supreme Court Justices? Let’s choose Justices by the same process we use to choose the President. That should reduce the polarization surrounding the Supreme Court. There’s an idea floating around about switching from appointing Supreme Court judges through a contentious dialogue between the White House and the Senate, and instead have a contentious national election. The idea is that since the Supreme Court is acting more like a legislature today, we should make it even more like a legislature. If I weren’t liberally quoting the proponents in that explanation, I would think this is a satirical position: the Supreme Court is bad because of X. Therefore, we should do more X. The problem, that the Supreme Court is acting more and more like a national legislature, is part of a bigger problem of nationalizing more and more things that ought to be decided locally. This means that issues that would not be contentious at the local level, because different localities could come to different decisions, become very contentious at the national level. Because these decisions are being made at the federal level, the federal Supreme Court must occasionally make decisions on whether those decisions are proper under the Constitution, as well as whether the implementation of those decisions by the executive is according to the law as written by the legislature. Our presidential elections are so polarizing because the federal government and the executive directly control so many aspects of our lives. The reason Senate and House elections are so often nationalized is the same: much of our lives are controlled by the federal government and so everyone everywhere has a stake in everyone else’s representative. The reason Supreme Court decisions and judges are controversial is that they are ruling on laws that literally control how we spend our paychecks and how we all, individually, handle our health care. Our system of government was designed to localize politics; it’s taken a long time to get this far off course. We have all of one national election: the presidency. The next level in federal elections is the statewide election of Senators, and next to that is the community-wide election of House members. If the problem is that the Supreme Court is acting too much like a legislature, and we have the political will to change the constitution in order to change this, there are better constitutional changes we could make. Governor Greg Abbott’s Texas Plan makes a legitimate attempt to solve the real problem, that the federal government has taken too much power to itself, thus also taking too much power to the Supreme Court; and that the Supreme Court is using this power in a way that is detrimental to national political problem solving. The important change in Abbott’s “Texas Plan” is that every one of these changes moves power closer to individual voters. It’s easier to affect policy when it’s your governor rather than your president, and when it’s your state legislator rather than your national legislator. Your voice matters more in local governments. The history of progressivism has been about diluting the voice of individual voters by moving decisions up the chain. This helps them, because it means voters who don’t care about an issue can be influenced to counter voters who do care about an issue. The more voters, the higher the percentage of voters who don’t care about any particular issue. National election of judges would move the Supreme Court up the chain, not down it. Currently, any individual voter has control over judges through the Presidency and their Senators. National elections take their Senators out of the loop. We’d end up with more contentious national elections, cement the legislaturization of the Supreme Court, and make it harder to reduce the federal power that makes so many issues nationally polarizing to begin with. The solution to the problems we’re currently seeing in the Supreme Court is to decide issues locally, closer to the people they affect, rather than decide them nationally. Rather than forcing a single solution on everyone, allow everyone to come up with diverse solutions. That’s what the Texas Plan does: it reduces the scope of Congress’s power; and it reduces the scope of the administrative state’s power, which is, I think, where the most polarization comes from at the Supreme Court level. Those would be real fixes. Asking Supreme Court Justices to campaign as if for another mini-legislature seems to me to just accelerate the process that gave us the problem we’re trying to fix. I’m less opposed to Senator Ted Cruz’s idea that we should let the American people affirm justices after eight years: the semi-supermajority nature of his proposal should have the effect of damping polarization rather than exacerbating it. Big government ensures that voters will demand a nanny state. They can’t afford not to police their neighbors when they pay for the poor choices their neighbors make. Governor Abbott’s “Texas Plan” moves power closer to the people of each state. It should increase participation in government and decrease unreasoning partisanship. Texas Governor Greg Abbott talks about how he survived the accident that paralyzed him, and how the United States can survive the system that paralyzes it. If the people against ending drug prohibition had been around in the thirties, we would never have ended the prohibition of beer and cocktails, because of the dangers of pure alcohol and bathtub gin. One of the lessons of the alcohol prohibition era is that we don’t have to go from banning everything to allowing everything. There is a middle ground. The latest Supreme Court ruling on free speech pretty much completes my renunciation of the Democratic Party. Should we hold regular elections for Supreme Court Justices? last modified July 17th, 2018.